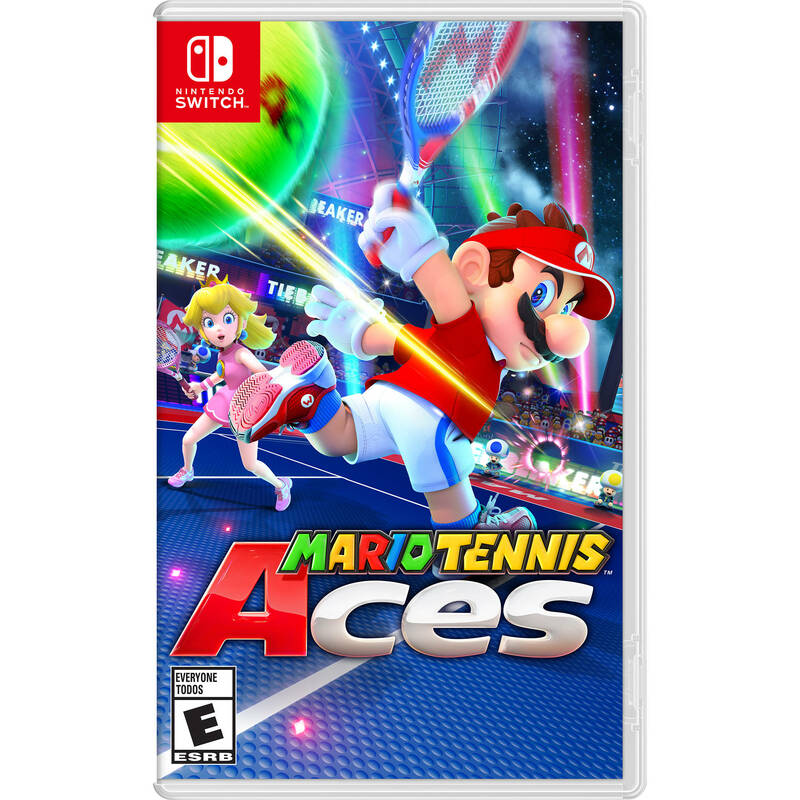 Unleash an arsenal of shots and strategies in all-out tennis battles with friends, family, and fan-favorite Mushroom Kingdom characters in Mario Tennis Aces from Nintendo. Complete missions and boss battles in Adventure Mode while mastering the controls. Test your hard-earned skills in singles or doubles with up to four players in local or online multiplayer, not to mention Tournament Mode, which lets you challenge the CPU. Store up energy and use it to pull off feats: move so fast the world slows down around you or aim in first-person to send the ball crashing down. Your rivals may attempt to block you, but if they fail, their rackets will take damage — and break after three hits. Fully charge your energy to launch the ball with enough force to KO your opponent. Please note that you need a Nintendo Switch Online subscription in order to access online multiplayer features.